Domaine du Comte Liger-Belair is a very recent wine estate since created at the beginning of the year 2000 by Count Louis-Michel Liger-Belair, agricultural engineer and oenologist, with the aim of taking over the running of those few parcels of vineyards remaining in the hands of the family. But it is in fact a very old estate as it has over 200 years of family tradition at the service of the vines and wines of Burgundy in general and Vosne-Romanée in particular. ACQUIRED THE CHÂTEAU DE VOSNE IN 1815. The Domaine thereafter grew considerably under the direction of the general and then his adopted son, the son of his sister, the Count Louis-Charles. He married Ludovie Marey and thus became part of the history of this family, owners and wine merchants in Burgundy since 1720. At the death of Count Edgar, son of Count Louis-Charles, the wine estate, family ownership, extended over more than 60 hectares (approximately 150 acres), mainly in the Côte de Nuits, gathering some of the most prestigious “climats” of Burgundy. It included the “monopoles” of La Romanée, la Tâche, la Grande Rue, a large part of Malconsorts, Chaumes, Reignots, Brûlées, Suchots in Vosne Romanée, Vaucrains in Nuits-Saint-Georges, Clos de Vougeot and Cras in Vougeot, Chambolle, Morey as well as Chambertin. Grandson of Count Louis-Charles, the Count Henri Liger-Belair, elder of the family and great-grandfather of Louis-Michel, died in 1924, leaving a widow and 10 children at the head of 24 hectares (59.3053 acres) of vines and Château de Vosne-Romanée. Everything continued until his wife’s death in 1931. The ten children were still there but two were minors. The law of that time required that all children reach legal adulthood to deal with the inheritance, failing which the estate must be sold. In our case, three family members did not wish to wait for the majority of the 2 minors, and therefore imposed the sale of the whole wine property. 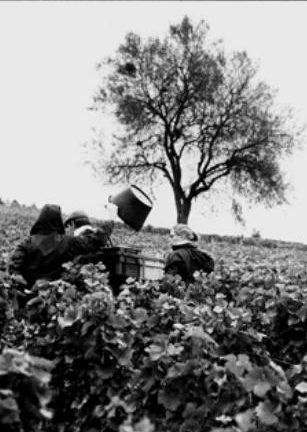 It was a sad day on August 31st, 1933 at the Town hall of Vosne-Romanée when all the vines were sold by judicial auction. The children thus witnessed the departure from their heritage of La Tâche, les Malconsorts, les Brûlées… Two of the children, Just, a priest, and his brother, Count Michel, grandfather of Louis-Michel, joined together to buy back La Romanée, les Reignots and les Chaumes, whose management was then entrusted to local winegrowers. Count Michel died in 1941 during the war, before he could redevelop the estate. His son, Count Henry, Louis-Michel’s father, joined the army in 1947 and pursued a brilliant career that led to the rank of general, as his ancestor six generations earlier. 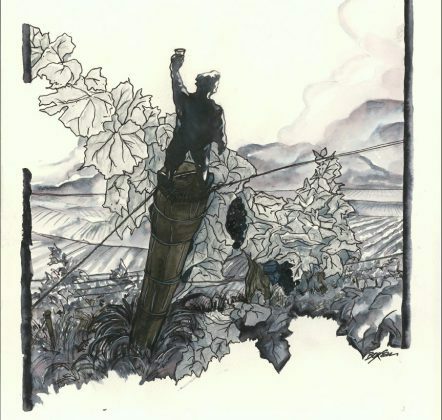 He did not directly run the vineyard, leaving the work of the vine to share-croppers in the village and marketing to Burgundian merchants, but maintained and developed the Domaine as much as he could. When he was eight years old, Louis-Michel told his parents of his intention to settle later in Vosne. His father informed him that he could only take over the Domaine if he became an engineer. 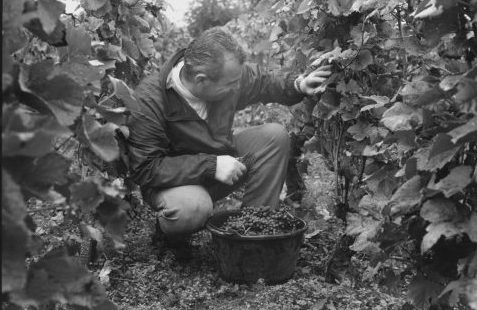 Louis-Michel then pursued scientific studies, graduated as an Agricultural Engineering, held a Master’s Degree in wine business and a degree in oenology from the University of Dijon. In 2000, Count Louis-Michel, engineer and oenologist took over control of all aspects of production, from the vine to the bottle. All the vines and wines receive the same care, from Village to Grand Cru appellations. Since, priority is given to the working of the soil. The vines are managed in certified organic and biodynamic viticultural methods. Human intervention, if it is developed to its maximum in the vines, is reduced as much as possible in both the vat house and the cellar. 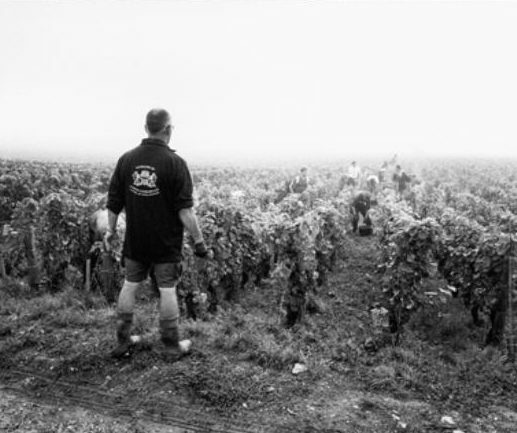 In 2000, 1.5 hectares (3.7066 acres) of family vines (Vosne-Romanée La Colombière, Clos du Château, Premier Cru Les Chaumes) were taken over and in 2002, 1.6 hectares (3.9537 acres) were added (Vosne-Romanée Premier Cru aux Reignots, La Romanée Grand Cru Monopole). he had the opportunity to rent 5.5 hectares (13.5908 acres) from the family of one of their former share-croppers, the Lamadon of Vosne-Romanée. This included a large parcel of Echezeaux, Vosne-Romanée Premier Cru Les Suchots, Les Petits Monts and Les Brûlées, Nuits-Saint-Georges Premier Cru Aux Cras, Vosne-Romanée and Nuits-Saint Georges. the entire Domaine was converted to biodynamic growing and has been certified biodynamic by Ecocert since 2012 under the Biodyvin label. he bought a Clos in Premier Cru in Nuits-Saint-Georges, the “monopole” of Clos des Grandes Vignes. the Domaine celebrated its 200th anniversary. On this occasion, a vertical tasting of 68 vintages of La Romanée was organized and a dinner prepared by Pascal Barbot, Chef of l’Astrance in Paris, and his whole brigade. A book « les Comtes Liger-Belair, 200 ans au service de La Romanée » was also published. Still in 2015, he took over the family historic brand, C. Marey & Cte Liger-Belair, which had left the family fold at the end of the 1970s. This brand is currently exclusively used on the Grands Crus des Hospices de Beaune that the Count Louis-Michel ages for selected customers, as well as for the distribution of regional appellations of the Domaine. 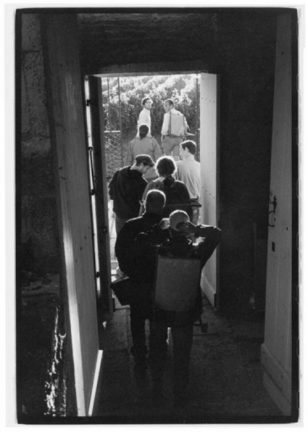 WITH HIS WIFE, CONSTANCE, AND THEIR THREE CHILDREN, HENRY (2002), BRUNE (2003) AND PIA (2006), COUNT LOUIS-MICHEL NOW GROWS 10.5 HECTARES (25.9461 ACRES) OF VINES IN VOSNE-ROMANÉE, NUITS-SAINT-GEORGES AND FLAGEY-ECHEZEAUX AND THIS MORE THAN BICENTENNIAL DOMAINE PRODUCES 15 CUVEES FROM THESE VILLAGES.